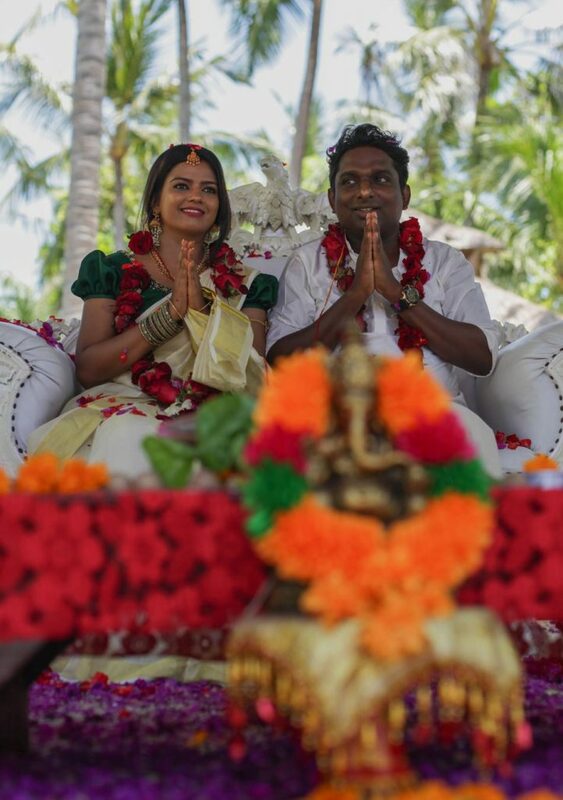 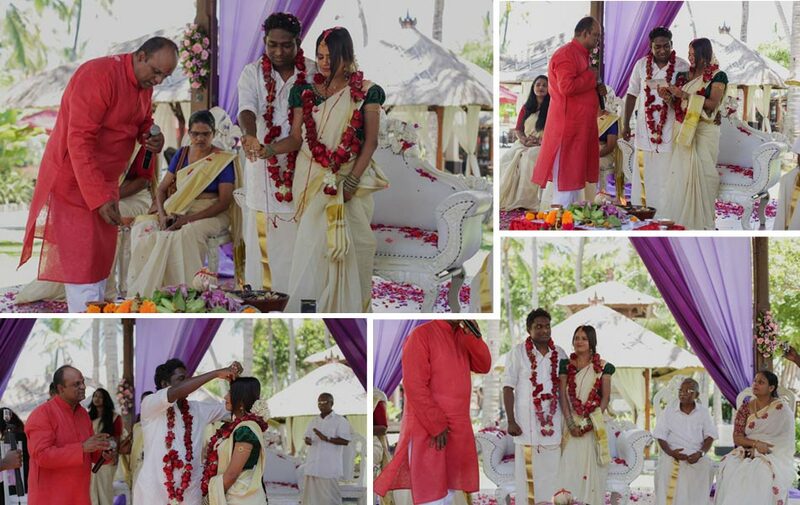 Continuing the love celebration and party, we have arranged our best and professional services for Anjali and Sreeju Soman Indian Ceremony at The Laguna Resort Nusa Dua. 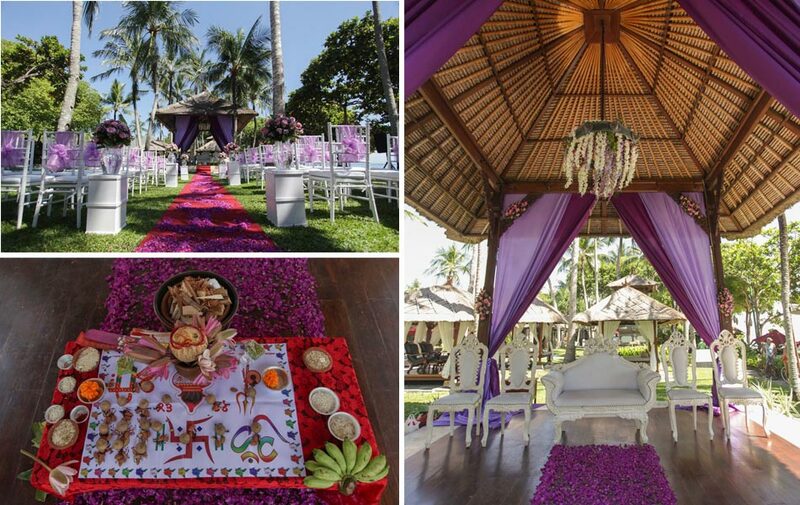 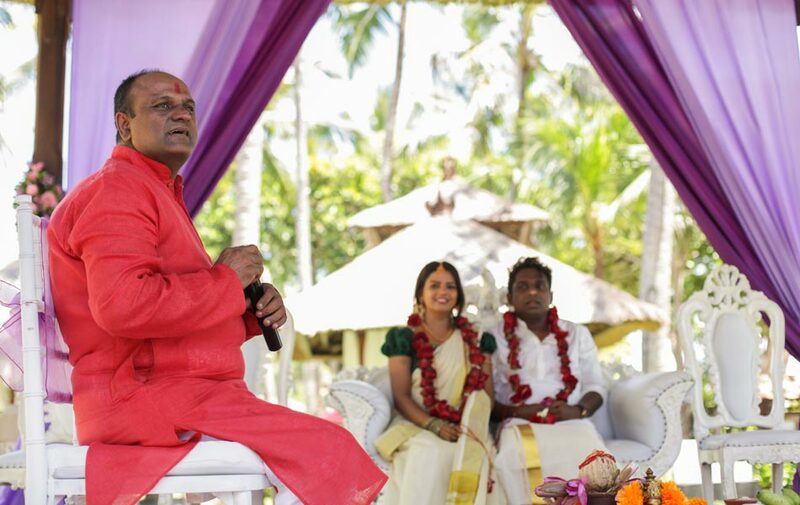 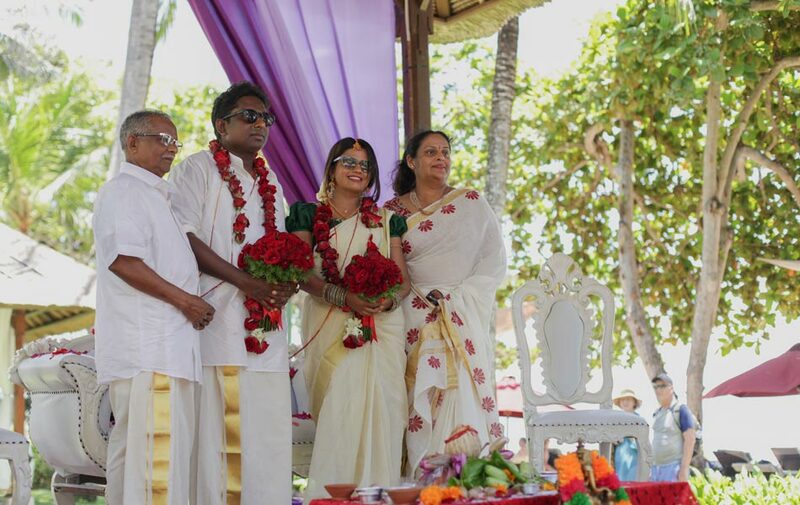 The beautiful and intimate wedding ceremony was conducted on the gazebo with white and purple theme led by Indian Priest. 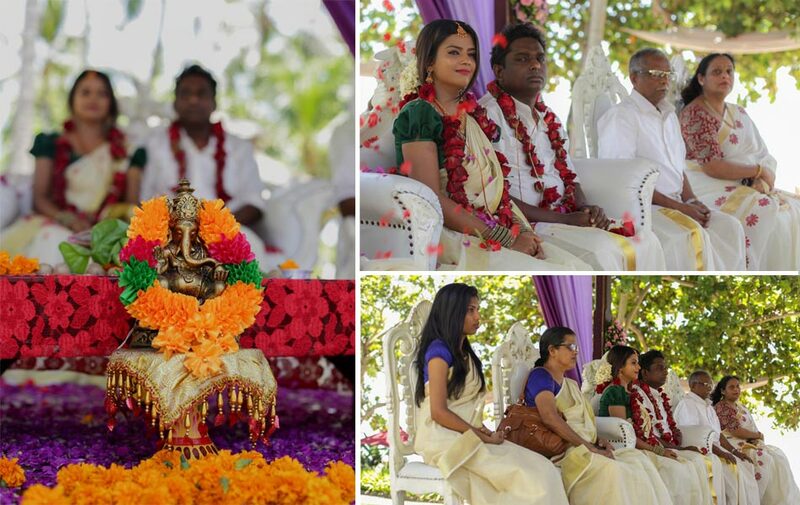 Their parent’s, closest family and friends came to give them blessings and best wishes. 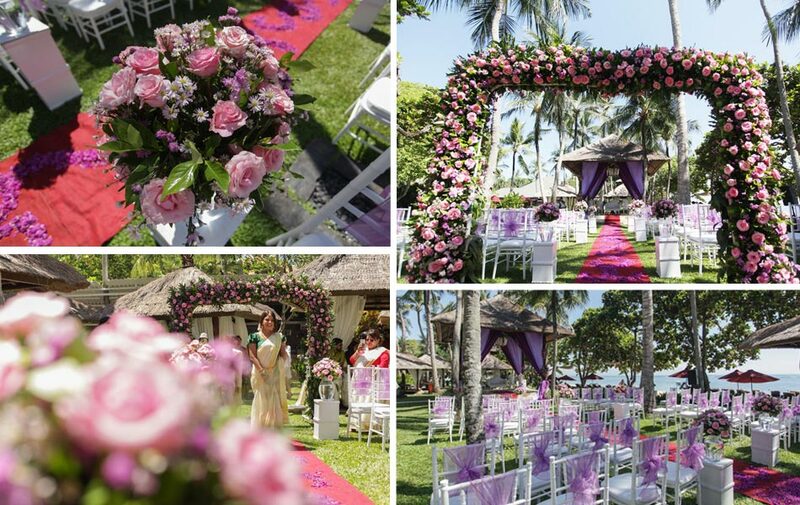 It is always our wish that our clients have a happy ending and have the most wonderful wedding to live in their memories and to share forever. 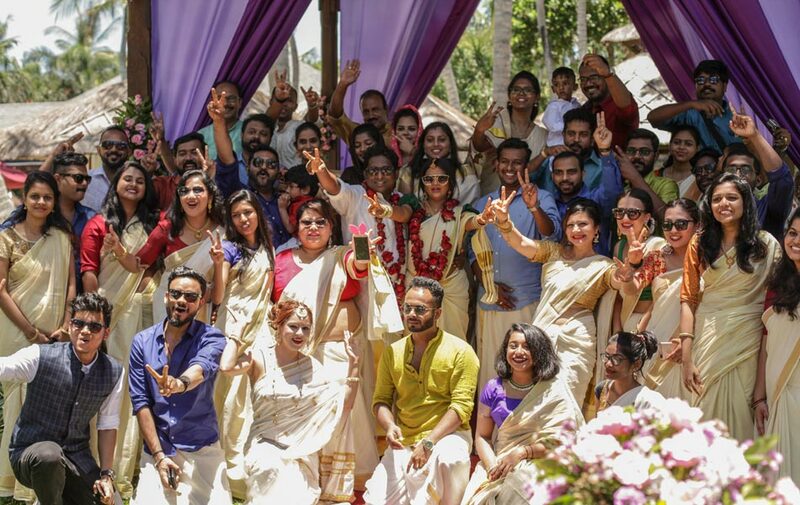 Congratulations Anjali and Sreeju Soman!